An abstract image of an Allium flower in my mother's garden. I deliberaterly shot with narrow depth-of-field and out-of-focus because for me the beauty is in the colour and pattern - and not in the detail. 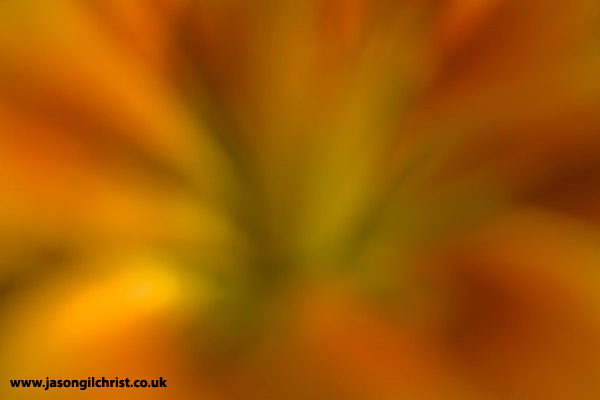 In this context the image highlights the explosive fiery orange colours bursting out from the centre of this beautiful flower.